Funky patterns, unique embellishments and fun word art make Turkey & Mistletoe Collection Biggie perfect for preserving your memories or crafting for the holidays! 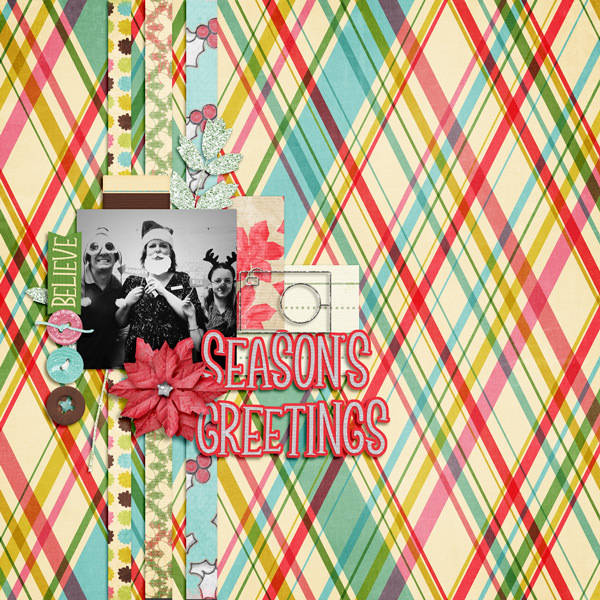 "Believe" layout by Cheré Kaye Designs uses the Turkey & Mistletoe Collection Biggie. 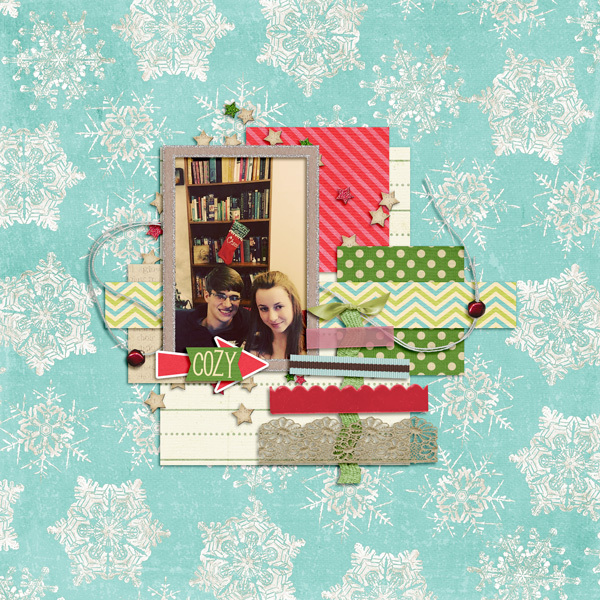 "Cozy" layout by Cheré Kaye Designs uses the Turkey & Mistletoe Collection Biggie. This is a great grungy collection. I love it - it also works great for Art Journaling pages.